Tiger Muay Thai & MMA Training camp has a wide selection of accommodations to suit any guests budget. At the training camp we offer our guests accommodation that are clean, affordable, and convenient. Each standard room comes with a large bed, air-con, wi-fi internet, TV, DVD, cable, hot water shower, wardrobe, and more. 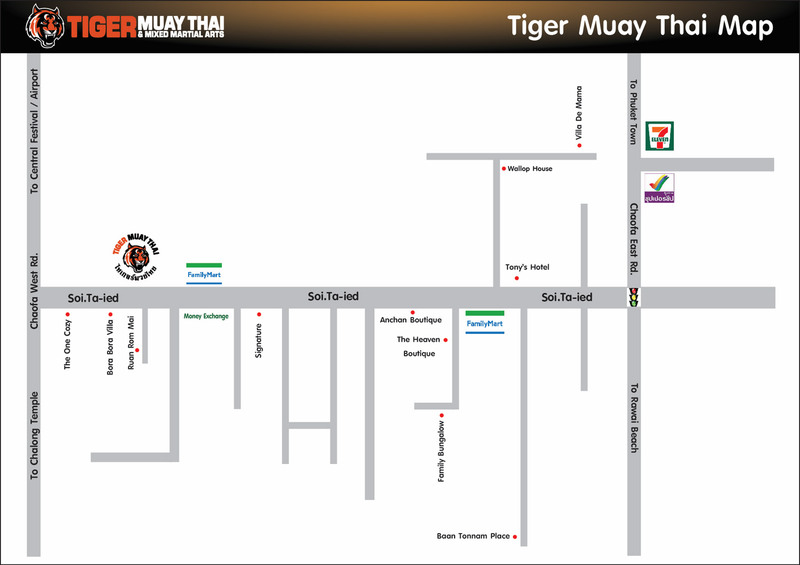 Take a look at our simplified map over the street Tiger Muay Thai is located on and the nearest accommodation places to get an idea and overview of the different locations.